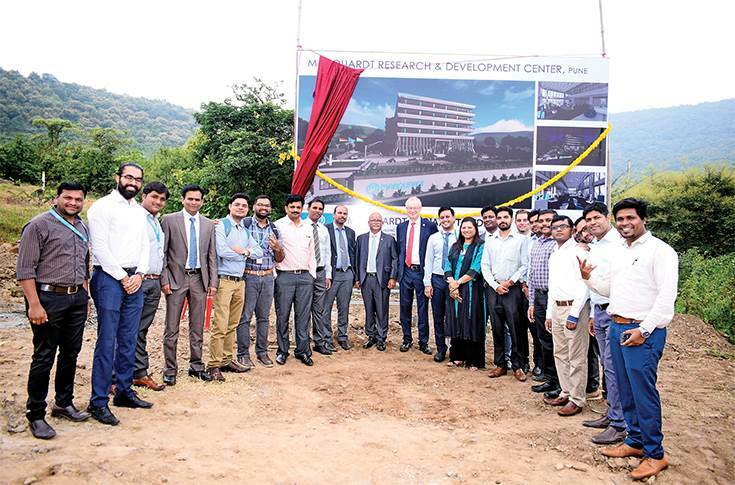 Dr Harald Marquardt, Marquardt GmbH's CEO, who was in Pune for the groundbreaking ceremony of the new and upcoming R&D centre, underlines how critical the growing business and engineering capabilities in India are in his company’s global scheme of things. How was CY2017 for Marquardt in terms of business growth globally? For the last 22 years, with the exception of the crisis in 2008-09, we have been growing 11 percent year-on-year (YoY). So for us, CY2017 too marked a double-digit growth and most of it is purely organic growth. While this indicates organisational stability (at Marquardt globally), it also was a great challenge for the employees to continue growing within the company. What was Marquardt’s global turnover at the end of CY2017? Last year we exceeded the1.2 billion euro mark (about Rs 10,000 crore). The amount of electronic content is continuously increasing within vehicles due to the megatrends the global auto industry is witnessing. What is your perspective on them and how is Marquardt preparing for them? We are already prepared for these megatrends, which are autonomous, electric, safe, connected and shared mobility. Actually, we can’t wait for the market to pick up faster on these megatrends because all these are turning into the kind of requirements that we are prepared to deliver already. Nevertheless, if we distinguish a bit, autonomous driving is very important because by now there is so much of investment involved in this while there are so many constraints. A company like Marquardt is too small to continue investing in its R&D (on autonomous driving) without its customers. So we are looking at this but I think it still will take a lot of time because there are a lot of restrictions in cities (for autonomous vehicles to freely ply) unlike motorways (highways) where it can move fast. The Marquardt team at groundbreaking ceremony of the new R&D Centre in Pune recently. It is slated to start operations by March 2020. On technical grounds, I believe you can solve everything by putting in thousands of sensors around the car and make them interact with each other. But cost-wise, it is not feasible. I think people can communicate better and making autonomous vehicles ply freely in densely populated roads will remain a nightmare for many years to come. On the other hand, specific areas within the autonomous ecosystem might see a huge progress. What are the challenges engineers at Marquardt have been facing while developing electronic and electrical parts for EVs? 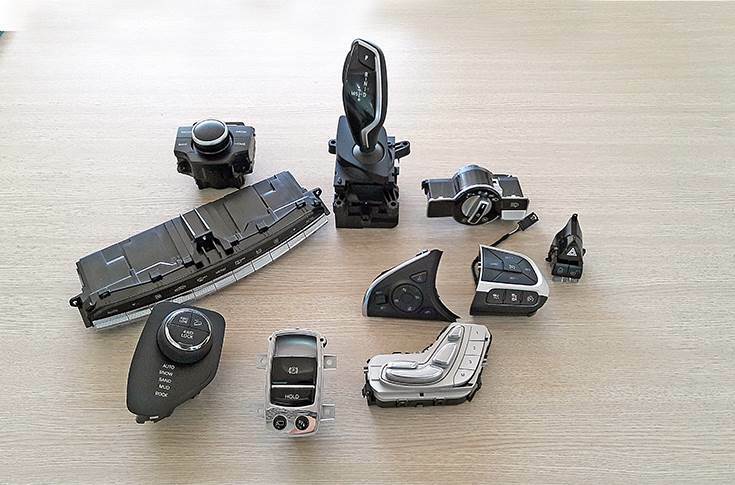 When we concentrate on the e-mobility business, particularly electric vehicles, the management systems that make sure that not only the lithium-ion batteries but also the other critical parts are kept in the right shape are very important. What is the biggest limitation of an electric car? It is the battery and its every single cell. Now, if any one single cell in the battery, which is the heart of the car, isn’t working properly, the vehicle will break down. Where we are heavily involved with our customers in Europe and in Asia is in the area of battery management system (BMS) and cell control modules (CCM) for the electric vehicles. While the CCM monitors how lively the battery is and how its cells are performing, the BMS, on the other hand, ensures that cells that are relatively weaker are not burdened and that the performance is well stabilised. Therefore, with our solutions, you can extend the lifetime or the range of the vehicles, thereby making the electric cars much smoother to operate. Automotive OEMs too have special requests and these are very challenging and ambitious companies. On the other hand, all the cell and battery manufacturers, which are sometimes bigger than the automakers / OEMs, come from another market (smartphones and other electronic goods). So, we have two big companies with different demands and we work with both trying to mediate and create technologies tailor-made for the OEMs. How much of your annual turnover do you re-invest into R&D every year? That would be about 10 percent every year. Can you tell us about the expansion plan of your existing manufacturing operations in India? Let me explain. What we need is to bring a reasonable output out of this company to make it viable first. This is because the requirements of our buildings (manufacturing units) are very high. What I mean is that we need a decent size of production plant. What we usually do worldwide is that we don’t start production plants under 10,000-15,000 square metres. So size is one aspect. Then we need to generate some sales also because you have a huge depreciation and high investment. So, for the first time in India we are going to shift in our own building for R&D operations (in the near future). This is a great commitment to India and we have a fantastic team here in Pune. have started localising automotive parts. The localisation had partly begun last year when we did steering wheel switches for Fiat Chrysler. Marquardt India supplies different types of switches for the dashboard, cabin interiors including HMI-based multimedia switches, shift-by-wire system and also for seating systems. This year we have localised start-stop buttons and door handle switches. This is done on the same assembly lines using the same assembly processes that are followed else where in the world. These products are also for exports to the other Asian markets and not only for the Indian market. We had started the journey of converting it from a non-automotive to an automotive plant over the last 18 months. We still have some capacity to be utilised at our Mumbai plant. We have recently launched three assembly lines at our Mumbai unit. We are looking at other options beyond that plant already. Although Marquardt has been in India for more than two decades, it forayed into the automotive industry only after 2006. Notably, the business gained momentum after 2013 and in 2015 the R&D centre was set up. Where does the India business stand in Marquardt’s global scheme of things and can you throw some more light on your expansion plans in the near future? The share of Marquardt India in global turnover is still small but it is growing very fast. I won’t be able to disclose India-specific turnover but I can mention that we are now doing a double-digit million euro sales every year, which is quite substantial. The company employs about 330-340 people in India and the headcount is strongly growing. Our business acquisition since 2015, when we first had Tata Motors, which came on board as our customer, has tripled during the last three years as we continue to grow. Meanwhile, the upcoming R&D facility, which is expected to come up by March 2020, will offer more than 900 workstations, which underlines our commitment and our journey forward. There is a new production plant, which is planned for India. Let’s say it will be up and running over the next five to seven years, depending upon our order book. But it will definitely come. We will have found the strip of land and will have bought it over the next two years. Meanwhile, on the R&D side, the operations will continue to expand after 2020 as well because we see India as a huge hub within Marquardt’s small world. How much investment has Marquardt made in India in total? Marquardt’s investments in India stand at about 18-20 million euros (Rs 150 crore to Rs 165 crore) in the past and they include the roadmap for the next two years. How critical is the Pune-based R&D operations to Marquardt’s global research and development programs? It is very crucial for Marquardt globally. India R&D leads some functions for us all over the world. Marquardt would no longer exist without the Pune R&D. Does that mean the Pune-based R&D facility makes a critical contribution to Marquardt’s global vehicle programs? We have global development centres based out of the USA, China, India, Germany and Europe. The Pune R&D centre is by far the second largest development centre in the world. You have recently established an all-new vertical solely dedicated for the electric mobility business globally. While this suggests that Marquardt is bullish about the emergence of EVs, do you believe that other forms of alternate propulsion systems might gain ground too in the future? I strongly believe in a mix of technologies going forward. I also believe that the combustion engines will have a future. I will tell you why. This applies more to the country like yours (India) than the country like ours (Germany) because we are much smaller. Providing the infrastructure (for EVs) to the countryside at a reasonable cost is very difficult and hence providing electric mobility in those areas is difficult too. This clearly is not about the capabilities of the suppliers or the OEMs. That’s why I strongly believe in a combination of many systems including the combustion engines, which will see growth in the future too but probably not at the same rate as it has been growing in the past. On the other hand, the demand for electric cars will rise faster because of the needs of the megacities of the world. Talking about the fuel cell technology, I think, one of the critical puzzles is keeping the energy within the car by not using it regularly. This puzzle is yet to be solved. Looking at the carmakers, which have been working on the fuel cell technology for over 20 years, I still believe that there is a long way to go. Do you think India can become a manufacturing hub for Marquardt in the foreseeable future? I think India has all the ingredients to become a major hub. At the moment from where I am seeing the industry, I believe that it could happen. However, it is imperative to understand how we are picking up here with the right capabilities of the people, with all the commitment, which is needed, and with all the ambitions that people have and they show in terms of the latest technologies. Let me put it the other way for you — I can’t see any reason why it can’t become one. In that case, Marquardt is on its way to increase its exports from India in future? I would like to hope so. That’s not the prime idea but also to remain competitive and further increase our competencies. Lastly, could you give us a market size of the electronic switches used in automotive applications globally, and what is Marquardt’s share in that? It is very difficult to give a number to that because it is also growing very fast. However, what I can say is that we will be doing a triple-digit million-euro sales from 2020-2021 onwards worldwide with electrical-type business (excluding HMI systems). So market share in this domain will be substantial with us. It will increase much more rapidly than other businesses (for us). I think we are here at the right time.